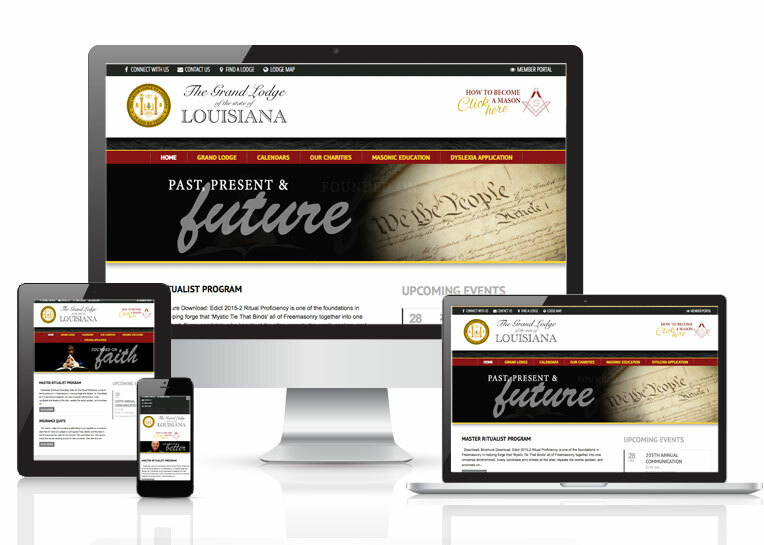 Online Presence Builders reformatted the Grand Lodge of Louisiana’s website in WordPress, making the site’s maintenance and upkeep process much simpler as well as more consistent. In creating a better organization of the site’s content, members are more easily navigated through the Lodge’s news as well as important facets of the Lodge; such as education, Lodge locations, and contact information. Online Presence Builders also created a social media strategy for the Lodge, making the site more reachable to its members who operate on a social media basis.